Known as "La Clara", this newly built French-style mansion in Potomac, MD is situated on two acres of land and features approximately 14,708 square feet of living space. It has eight bedrooms, eight full and three half bathrooms (including lower level Au-Pair suite), foyer with floating staircase, elevator, formal living room with fireplace, formal dining room, butler's pantry, gourmet kitchen with double islands, separate catering kitchen, family room with fireplace, home office, recreation room with wet bar, wine cellar, home gym, sauna, 10-seat home theater with 150-inch screen, a four-car garage, and much more. Outdoor features include a gated entrance, motor court, terrace, deck, and a patio. 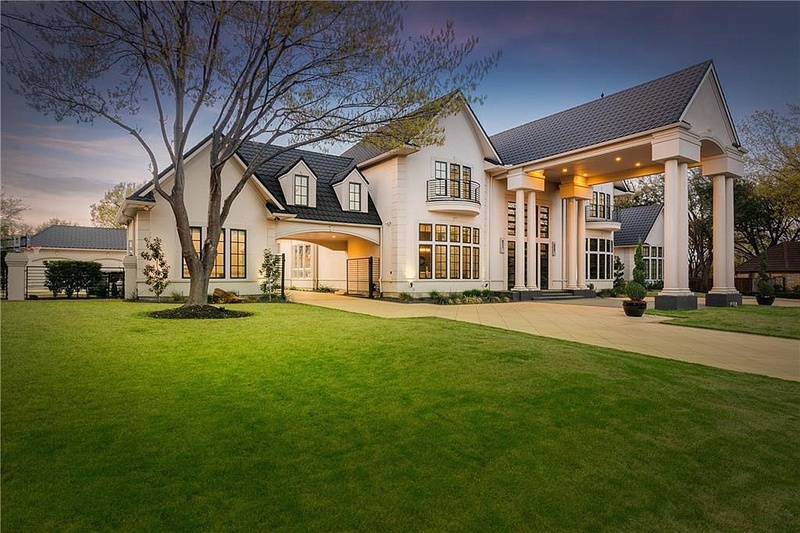 This modern traditional mansion in Plano, TX was built in 1994 and is situated on one and a half acres of land. It features approximately 9,539 square feet of living space with six bedrooms, seven full and two half bathrooms, two-story foyer with winding staircase, two-story great room with fireplace, formal dining room, butler's pantry, gourmet kitchen with stainless steel appliances and waterfall island, breakfast area, wet bar, family room with fireplace, wood paneled library with fireplace, game room, home theater, garage parking for five cars, and much more. 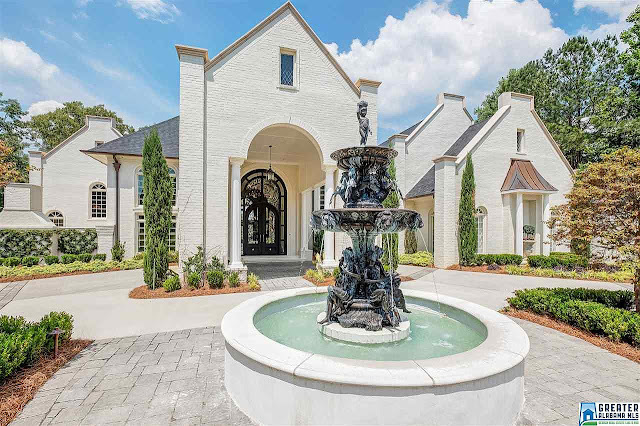 Outdoor features include a two-story porte-cochere, an additional gated porte-cochere, motor court, patio, swimming pool with spa, and a cabana. 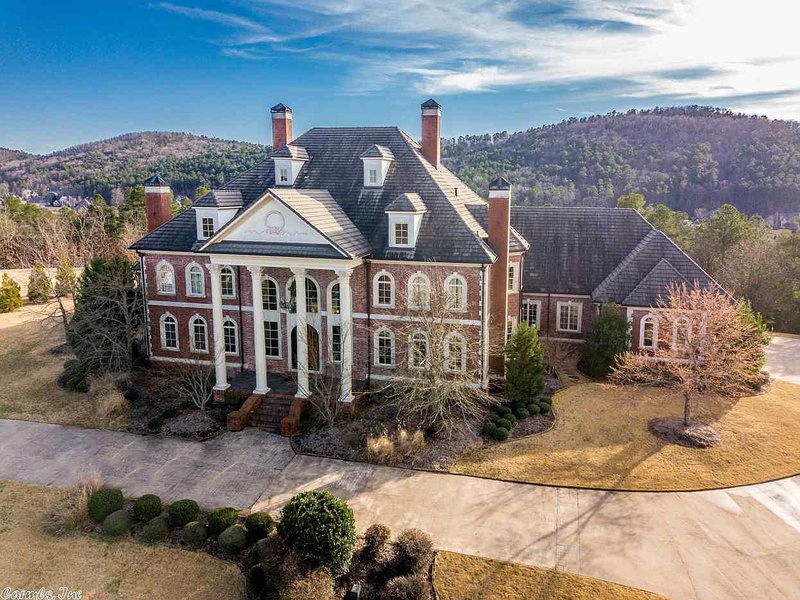 Built in 2008 and situated on nearly four and a half acres of land, this stately custom brick mansion in Little Rock, AR boasts breathtaking mountain views. It features approximately 15,291 square feet of living space with five bedrooms, eight full and four half bathrooms, two-story foyer with floating double staircase, elevator, two-story great room with fireplace, formal living and dining rooms with fireplaces, gourmet kitchen with island/breakfast bar, breakfast room, family room with fireplace, media room, bonus rooms, wine cellar, four-car garage, and much more. 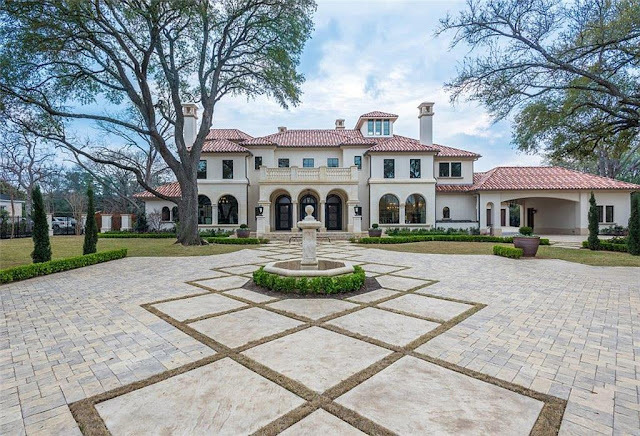 Outdoor features include a front portico and rear upper and lower terraces. 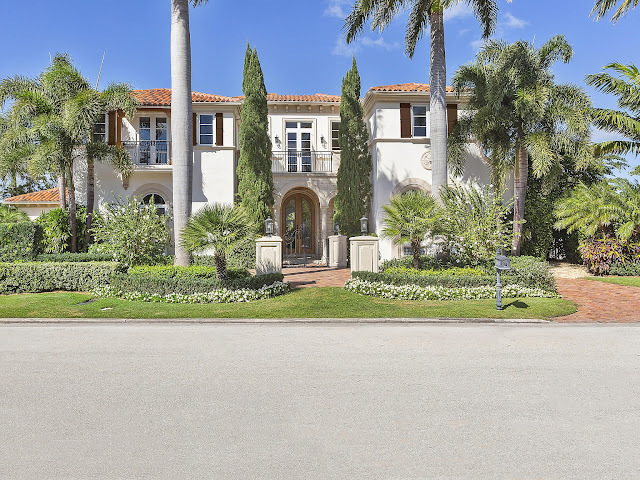 This Mediterranean-style mansion in Boca Raton, FL was built in 2005 and is situated on just under a half acre of land boasting 101 feet of yacht dockage. It features approximately 11,208 square feet of living space with six bedrooms, eight full and one half bathrooms, foyer with two-story stair hall and U-shaped staircase, elevator, formal living room with fireplace, formal dining room, butler's pantry, gourmet kitchen with two refrigerators and breakfast bar, family/breakfast room, billiards/game room with wet bar, home theater, four-car garage, and much more. Outdoor features include motor court, balconies, patio, swimming pool with spa and water feature, and a BBQ kitchen.